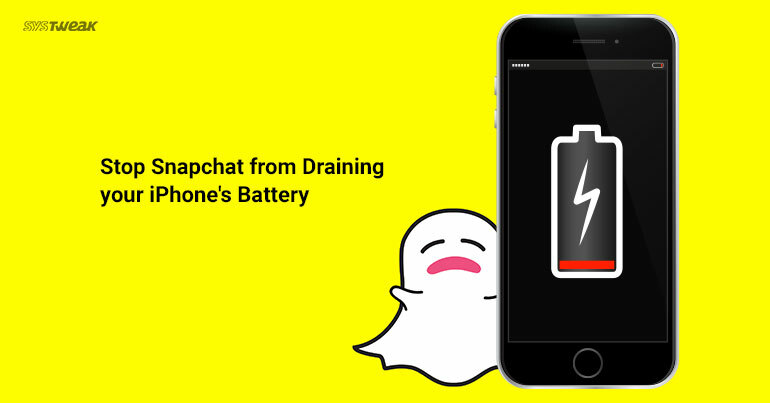 Snapchat Draining Your iPhone's Battery Life? Here's How to STOP! Using Snapchat comes with its own set of pros and cons. Barring the Pros, if we talk about cons then draining battery would be on top of this list. If you’re an active Snapchat user then you must’ve surely experienced some serious battery troubles while using Snapchat on your iPhone. Just like Facebook, Snapchat seems to burn more battery in the background than it does on screen. To give this an end we have jotted down 2 simple ways by which you can significantly save your battery life to make it last for longer hours. Well, see it for yourself. First, launch settings and head on to “Battery”. Wait for a moment till the battery usage of your device is being calculated. Now select the “Show Detailed Usage” button to get a breakdown of foreground and background power usage. Here you will see Snapchat as one of the biggest culprits in churning down your iPhone’s battery. In the above steps we just how Snapchat eats up maximum amount of battery percentage. But how to stop this? Is there a way? Fortunately, yes there is small hack that allows you to save down some extra battery percentage bars of your iPhone. Tap on the ghost like icon appearing on the top right corner of the screen. Tap on Manage Preferences under Additional Services. Toggle the “Travel Mode” switch to ON. Switching to Travel Mode reduces Snapchat’s mobile data usage. Since radio is one of the principal points of power consumption, it can surely help to save your iPhone’s battery life. You can also control background app refresh in Apple’s Settings. Toggle Snapchat’s switch to OFF. When you do either or both of these things, you’ll need to go into Snapchat and tap on stories you need to load, only then you can see them. Well, bearing this much trouble doesn’t sounds that big of a deal, right? All this becomes worth it when you’ll see a massive boost in your iPhone’s battery life.